Our School of Rock program is a professional development opportunity for formal and informal educators on board or involving the JOIDES Resolution. While living on board the ship (when possible) or in a land/lab-based workshop, teachers will work with scientists and technicians to learn about many aspects of earth science, geology, paleo-oceanography and more done aboard this amazing ship, what we learn from scientific drilling, and how to do the kinds of scientific analyses and lab exercises program-scientists do. 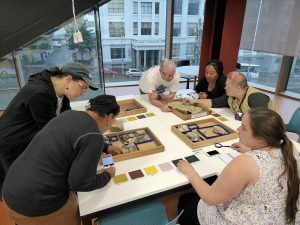 This new-found knowledge will help teachers in creating or modifying existing resources for their students in many areas of the science curriculum. School of Rock workshops occur once a year, usually during a transit or tie-up period for the vessel. What: The 2019 School of Rock will be a land-based professional development workshop at Scripps Institution of Oceanography. We know that it’s not ideal timing for classroom teachers, but it is timed to coincide with the San Diego port call of the JOIDES Resolution, which is the first time the ship has returned to the mainland U.S. in 10 years. 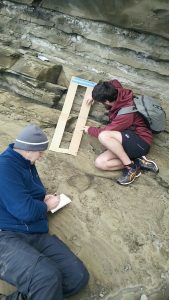 The 2019 program will focus on lines of EVIDENCE in science, the nature and process of science, and exploring geologic evidence gleaned from the study of field sites in and around the San Diego area and from legacy ocean sediment cores. 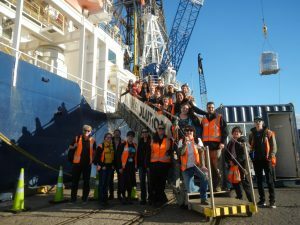 Participating faculty include experienced scientists and science educators from a variety of backgrounds with deep experience with the International Ocean Discovery Program (IODP). This is a residential workshop; all participants will stay in a hotel near to the worksite and the group will travel together to field sites and activities. Participants will have the rare opportunity to go onboard and tour the JOIDES Resolution when it comes into port and interact with scientists and students going on the Guaymas Basis expedition. Who: Pre-service and in-service educators are encouraged to apply. Educators are encouraged to apply in 2-3 person teams from their school or institution. 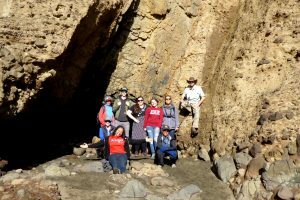 We especially encourage participants from historically underrepresented minority groups in the geosciences, and those who teach in diverse settings. Who else: This year’s School of Rock is a collaboration with a new project, Ambassadors for STEM Training to Enhance Participation (A-STEP). We are looking for participants who are able, willing and eager to take what they learn and become ambassadors in their communities and nationwide for the cutting-edge science they will learn during and after the workshop. If you are creative, have excellent communication skills, interest and talents in video and/or other multimedia storytelling techniques, and love science – this is for you! Cost: Travel, food and lodging costs for U.S. participants will be covered by two NSF-funded projects: the U.S. Science Support Program and the A-STEP project. There may be some small incidental expenses that participants will have to cover. How do I apply? Application form is here. Deadline May 15. For more information, watch our School of Rock video and our video about educators on the ship! You can also read our assessment report on School of Rock here.